In the United States, asthma affects around 8 percent of children under the age of 18 (about 1 in 11) and about 7 percent of adults (about 1 in 12). Rates are slightly higher in Massachusetts where just over 11 percent of Massachusetts adults (about 1 in 10) suffer from asthma, according to data on the Centers for Disease Control and Prevention (CDC) website at cdc.gov/asthma. Asthma is a very common but serious disease that affects the lungs and causes wheezing, coughing, trouble breathing and chest tightness. It is one of the top reasons children miss school and go to the doctor or emergency room each year. Even though there is no cure for it, asthma can be controlled. 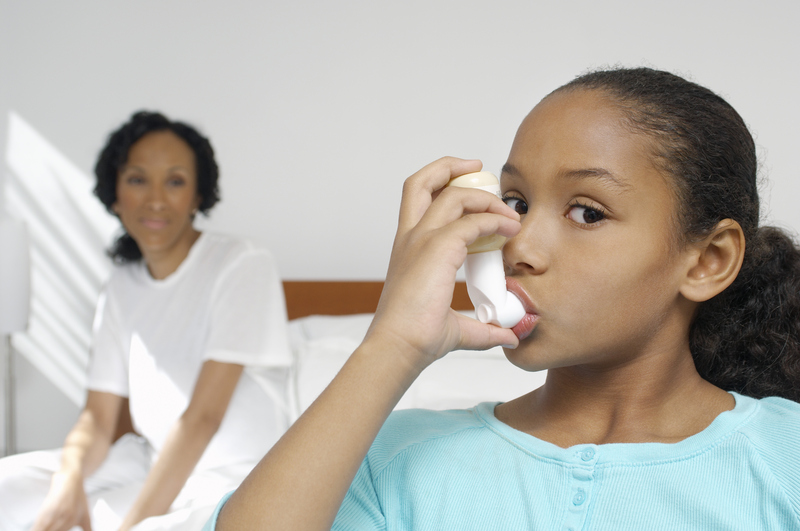 If you or someone in your family has asthma, there are many ways to avoid asthma triggers if you know what they are and how to remove them from your home. Many things in the home can cause asthma to flare up: cigarette smoke, dust and dust mites, mold, cleaning supplies, cockroaches, pets, cooking fumes and wood stove smoke. There are many outdoor triggers too, but those are harder to control. To help yourself or a family member with asthma, it is best to focus on the following indoor triggers that you can control. Avoid smoking indoors or in the car. Having a smoking room or smoking with the window open doesn’t work because smoke particles are small enough to travel throughout the house or apartment. Ask smokers to smoke outside and leave their coats outside, if possible.Quitting smoking is the best option. Did you know that the BeHealthy PartnershipSM plan covers smoking cessation for members? To learn more, read about the Start to Stop® smoking cessation program or call Member Services at (800) 786-9999, Monday – Friday, 8 a.m. to 6 p.m.
Dust mites are bugs that are too small to be seen but are found in all homes. You can’t get rid of them all, but you can lessen how many get into the air. To start, focus on where the person with asthma sleeps by washing bedding in hot water once a week. Clean dust often with a damp cloth and vacuum with a high-efficiency particulate air (HEPA) filter on your vacuum cleaner. (HEPA filters can be bought at department stores.) Be sure to vacuum the carpet, mattress and furniture each week. Mold forms in damp areas in the home, like in basement rooms or apartments. It can also form in rooms where there have been water leaks in the ceiling or walls, or in poorly ventilated bathrooms. Carpets that have gotten wet can also have mold.The first step is to remove the source of moisture and clean the affected area with soap and water while airing it out well. For a serious mold problem, you may need to contact a cleaning service or your landlord to fix the problem. Cleaning supplies can cause fumes that are irritating to people with asthma. Be aware of which cleaners irritate your or your family member’s asthma and avoid those. Try to use simple cleaners that do not contain chlorine bleach or ammonia. Look for non-toxic cleaners like white vinegar, hydrogen peroxide or baking soda. Also, be sure to air out the room you are cleaning. Cockroach body parts and droppings get into the air and can cause asthma to flare up. If you have a roach problem in your home, be sure to keep counters, sinks, tables and floors clean. Also, store all food in sealed plastic or glass containers to better control the roaches. You may need to call an exterminator to get rid of the problem. Pet allergies can have an effect on asthma. If you have pets, do not allow them to be in the room where the person with asthma sleeps. Keep them off bedding and furniture, and be sure to vacuum after them. It may be necessary to keep pets outdoors or find a new home for them, if nothing else works. Be sure to ventilate when cooking. And always burn dry wood in your wood stove or fireplace. Check that your wood stove is in good working order. A well-working wood stove or fireplace should not emit smoke into the house. For the person who suffers with asthma, the above changes can make a big difference. Taking small steps is better than not doing anything at all.